*From the comedy of Jerrod Carmichael and Nick Stoller (“Neighbors”) comes an irreverent sitcom inspired by Jerrod’s relationships with his say-anything, contrarian father(David Alan Grier), his therapist-in-training girlfriend(Amber Stevens West), his ever-hustling brother(Lil Rel Howery) and his mother(Loretta Devine) who is always, always, always right with Jesus. “The Carmichael Show“ tackles being a traditional sitcom that actually deals with modern day issues while delivering laughs. 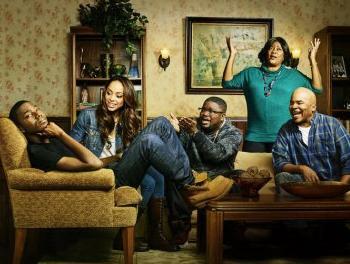 “The Carmichael Show“ has successfully found its niche at NBC. In a time when film (and television to a lesser extent) has reverted back to lack of diversity it is refreshing to see a network pick up and fully support a show that doesn’t hold back the punches while pushing the envelope as comedy tends to. Equally impressive is the fact that Jerrod Carmichael, stars, writes and produces on his show. 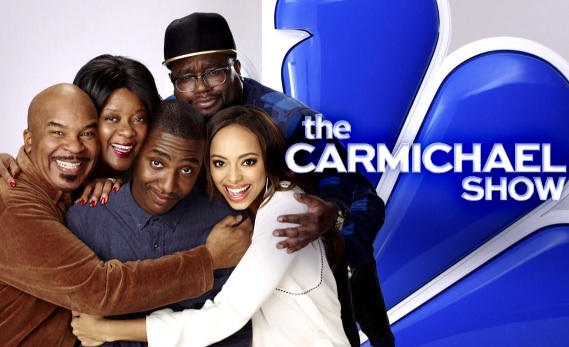 “The Carmichael Show“ premieres Sunday March 13 at 9/8c on NBC. the Electronic Urban Report/EUR was on the show’s set for social media day. EUR associate Herica Thompson was present to get the inside scoop on the behind the scene antics of the whole cast. Find out what we can expect to see this season, how the cast relates to their characters and clowns around on set in the exclusive video below.